If you're not familiar with the music website Hypebot you should be. It definitely has a finger on the pulse of the modern music industry. I read it daily and occasionally insert some of its content into my site to help spread the word about today's music business. In this issue of Five From Five I'm dedicating the entire post to Hypebot.com. 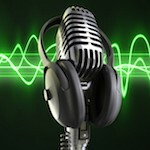 Listed here are the top 10 podcasts for anyone who wants to get educated about the music business. Whether you’re a professional musician or just getting started, these podcasts are a quick and easy way to immerse yourself in the business side of music. Established artists making Artists Services Deals rather than signing with a label have been gaining favor of the last few years. BMG is trying to accelerate the trend, signing top tiered artists - first Janet Jackson and now Dave Stewart - to wide ranging deals. With hundreds of thousands of fans going to Darius Rucker’s 2015 Southern Style Tour, Rucker’s team at McGhee Entertainment was looking for a way to curate and present all of the amazing social content that his fans were sharing at his shows. SoulCycle launched in 2006. Its business is primarily based on offering a high intensity spin class led by an instructor who also serves as a DJ... It is clear that music is perhaps as essential to SoulCycle's business as the bikes themselves. 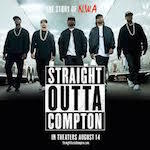 If by now you’ve seen Straight Outta Compton, the acclaimed movie on the rise of NWA, then you already know that the praise it has been receiving is well deserved... The storyline is full of invaluable lessons in how to survive and thrive in the music business. EQ the microphone, not the instrument. 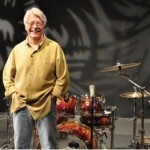 A tip from legendary recording engineer Ken Scott. Here are a couple of very interesting books that seem to epitomize both the music business of yesterday and today. 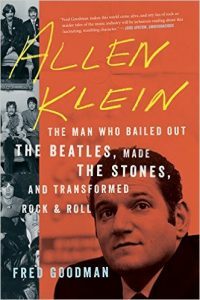 Allen Klein was like no one the music industry had seen before. The hard-nosed business manager became infamous for allegedly catalyzing the Beatles’ breakup and robbing the Rolling Stones, but the truth is both more complex and more fascinating. As the manager of the Stones and then the Beatles he taught young soon-to-be legends how to be businessmen as well as rock stars. 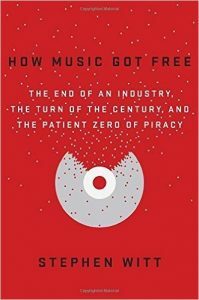 How Music Got Free: The End of an Industry, the Turn of the Century, and the Patient Zero of Piracy. How Music Got Free is a riveting story of obsession, music, crime, and money, featuring visionaries and criminals, moguls and tech-savvy teenagers. It’s about the greatest pirate in history, the most powerful executive in the music business, a revolutionary invention and an illegal website four times the size of the iTunes Music Store. Send us a message using the contact form. We never pass up an opportunity to talk shop.